Hi folks. 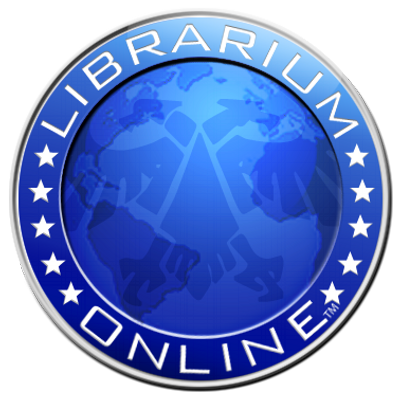 I've started submitting the occasional article to The Trading Post, so wander on over and have a pint of virtual ale and stay a while, tis only mighty. Well, last weekend saw my first competitive outing with the chaos dwarves. I have to say, I had a blast with them. 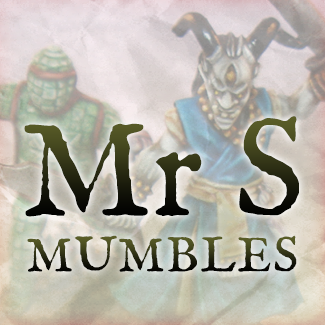 They are great fun to play, especially the rather twitchy war machines. I did pretty well, winning two out of three games, so I think they are pretty competitive. I've gotten the taste for them now, so I'll be painting up the army pronto, as a far from home slaving expedition picking it's way through a ruined city. My favourite units were the annihilators, which did as well in combat as at range, the sneaky gits, which were gold, and the hell cannon. By far the most entertaining moment was when the cannon misfired in a 16,000 point game, causing every wizard to miscast. This killed two wizards, wounded two more and slew about twenty troops on my own side. Boy was I popular. Legend. Basing. 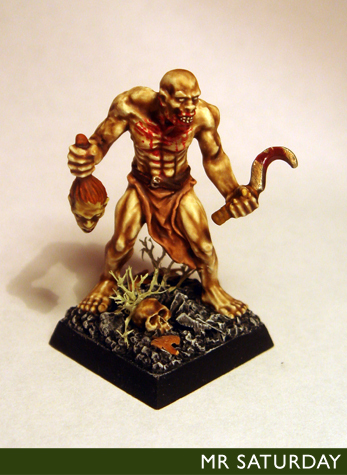 Sometimes overlooked, it can make an average miniature excellent, and an excellent miniature average. I love basing miniatures, especially if you can give the model some narrative, or add to the theme of your army, gang and such. 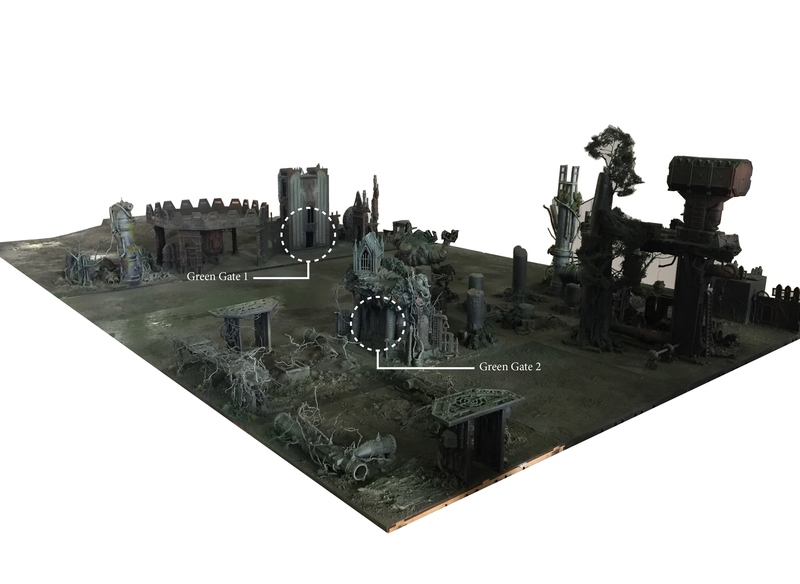 With the wealth of resin bases and resin basing kits, it's easier than ever to make your bases groovy. There's always room for a good basing mix though. After using various materials, fine sand, rough sand, oyster grit and so on, I found the results fine, but a little unconvincing at times. 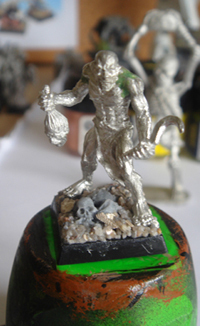 This then, is my recipe for a good mixture to set your minis on, and it's easy to incorporate resin basing bits into it. I give you Mr Saturday's porridge. It's what I use for the general earth, stone etc on bases. Get 4-5 different types of basing material. Oyster grit, fine sand, rough sand etc. Get a tub with a lid, anything as long as it's pretty airtight. Pour in a measure of the 4-5 basing materials, depending on how much porridge you want. Mix in PVA glue. It's important to get the consistency right, about the same as, oddly, porridge. Too much PVA, the mix will shrink on the base a pull off the edges after a few days, too little and it won't spread well. Add sawdust of flock to mitigate shrinking. I don't know why this works. Mix well! Use a scalpel or sculpting tool to add it on the base, in small amounts. Make sure your resin bits are attached already. I often wait for it to dry a bit, then cut a tab and add the mini, or leave a little space under the mini's feet when you glue it on for the porridge to flow into. I HATE when the feet get obscured by basing. Let it dry for 24 hours. The random nature of the different basing materials mixing together works a treat. If you've made a lot, the airtight container will keep it usable for a week or longer. If it's drying out, add more PVA. Ta-da! 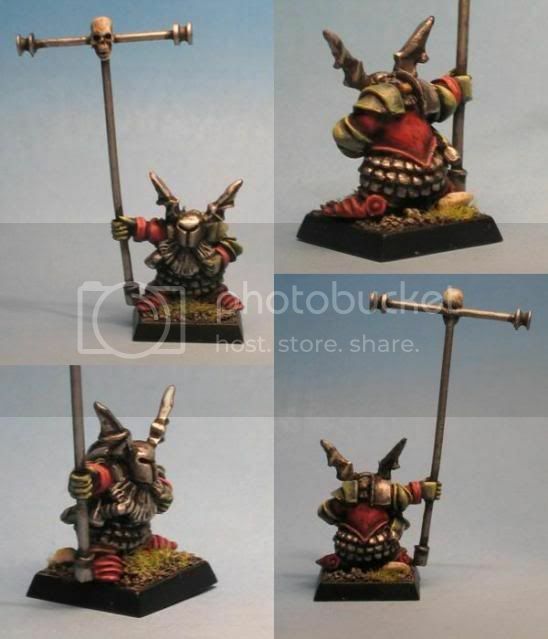 Chaos Dwarf - New Standard Bearer Model Out! The third core choice under scrutiny is the rockstar is vampire counts core infantry in 8th, the ghoul. It's hard to consider any other core when you compare them to this poisoned madman. Though they lack any kind of armour, they can dish out the hurt. They can also be raised up, making up for that lack of armour. Let's sit down with our insane cannibal and get to know him better. Ghouls operate well with a character. Any vampire slumming it with the ghouls would do well to take the Summon Ghouls vampire power. I don't tend to use them to hide necromancers, as skeletons are more survivable with light armour and a shield. Ghouls need to be going into combat. A great match-up is with the bsb. Gasp! Yes, the grave guard are not the only unit the bsb hangs out with. This gives them a standard, makes crumble less awful, and, sometimes the Drakenhof banner can really mess up someone's day. I've seen my regenerating ghoul unit take down a fantastic amount of enemy units. Just watch those flaming attacks. Ghouls are a good team-up with grave guard. If you can hold the enemy in place with the grave guard, the ghouls are just the thing for a flank attack. If you intend to use them this way, 20 is probably plenty, but my ghouls units are usually 30. This is about as classic a hammer and anvil as you'll see. Ghouls don't do well in protracted combats unsupported. Watch for dwarves, chaos warriors and dwarves of chaos. That said, get a corpse cart giving them asf, vampire summoning more ghouls or Vanhels giving them re-rolls will all help tremendously. Anyone out there who plays vampire counts knows that there are few undead who can do it without some manner of magical help. Ghouls are great for dishing out stinky hurt, something I was unused to with my core, but they melt away fast due to having no save so don't let them get bogged down. 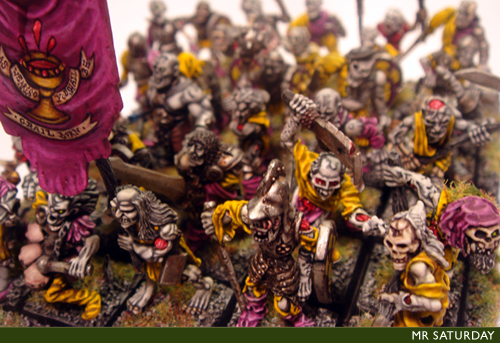 In 8th, it's an unusual vampire army that has no ghouls in it. 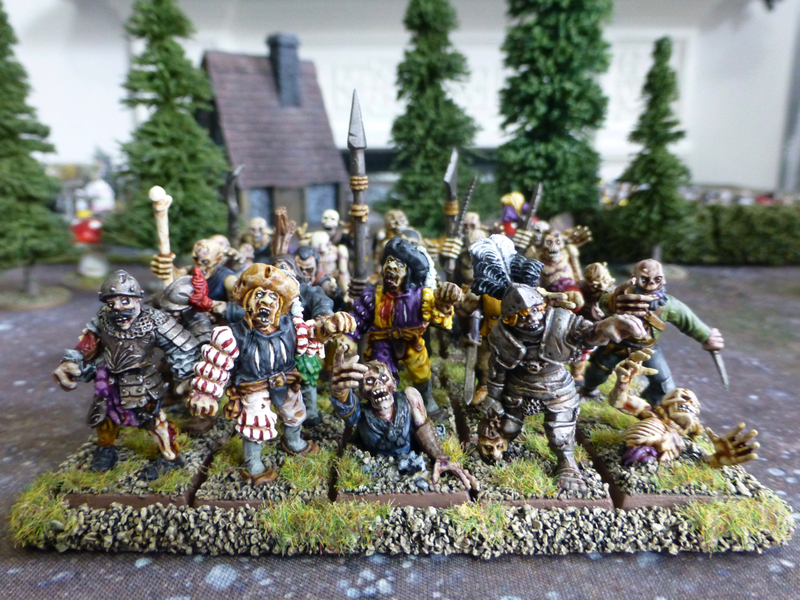 The second in the series of my wee journey through the denizens of the vampire counts army. Next up, my old friend the skeleton warrior. I love these guys like the silent and emaciated brothers I never had, but 8th has treated them roughly. Let's look at how our bony servant has done under the new rules. So, how do we field skeletons in 8th? As always with this edition, all infantry core are going to be compared to ghouls, especially as ghouls and skeletons cost the same points, 8. Skeletons are by no means the combat fiends ghouls are, but they do have access to full command (which I would always include) and have more equipment options. There are a number of ways to configure them. Spear armed skeletons get three ranks of attack, in a horde four. That's a potential 41 attacks with a champion from a horde of skeleton spearmen. 41 attacks from skeletons, propably needing 4+ to hit, will get you an average 20 hits. After that, taking as our example the Empire greatswords, once again, you have S3 v T3, so 10 wounds. Chances are, after the greatswords 4+ save, you get 5 casualties. Not epic, but okay. They also come with light armour and shields so that's a 5+ save. Not bad, but against our greatswords, useless. I think whatever way you field skeletons, if they are to be a combat unit you need at least 30, and 50 - 60 would not be unreasonable. A skeleton spear unit would be a good anvil unit. This gets the skeletons the all-important 6+ ward save. As great weapons are the new black, this is a good choice, as they skellies 5+ save will be about as useful as pouring a bottle of spring water into a volcano. Again, go large on the unit. A horde will get 31 attacks (presuming a champion is there), so our greatswords will be taking 3 casualties on average. Sucky, but the ward save the skeletons get will keep them on their feet longer. Just watch those flanks. Another good anvil. Frankly, skeletons don't do hammer. A small unit of skeletons can provide a nice bunker to shield a necromancer of vampire, and provide that super fabulous 'Look out Sir!' roll. I just love the image of a skeleton flinging himself across his beloved vampire master screaming that. More likely the skeleton would find himself picked up and flung at the oncoming projectile. The reason sword and shield skeletons would provide a better bunker than ghouls is again, the save. Though, granted, ghouls have better toughness. Skeletons do also have access to magic banners, which can tailor them a little more. There are 13 banners available for 25 points or less, so a good spread from magic resistance 1 to flaming attacks. They can also be buffed by spells (lore of death or shadows works well to weaken opponent units) or items. The corpse cart can give them always strikes first, and Vanhels can give them 8 inches movement, including charging or always strikes first and re-rolls to hit. 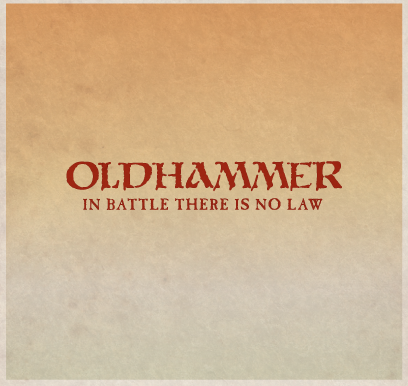 The Helm of Commandment can sort out that bothersome low weapon skill. 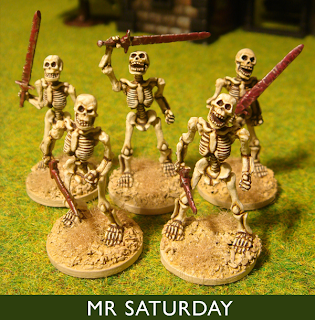 Skeletons are one of my favourite units, but again, the ghouls, even without a save or access to standards or musicians, generally beat them to my list. I do think there is room for them in 8th, but it depends on your tactics and play style. They seem best suited to an anvil role, so personally it would be a big old block (50+) of sword and shield lads. 8th edition has changed things more wildly than I think most of us expected. Changes like not needing to measure ranges has seen the demise (literally) of the ridden monster for anyone who doesn't want their lord smashed off the back of his pulped dragon. Steadfast has meant units are now a good chunk bigger than before (way to sell those minis, gw) but I like this rule all the same. Infantry is king, followed by queen magic and prince artillery. 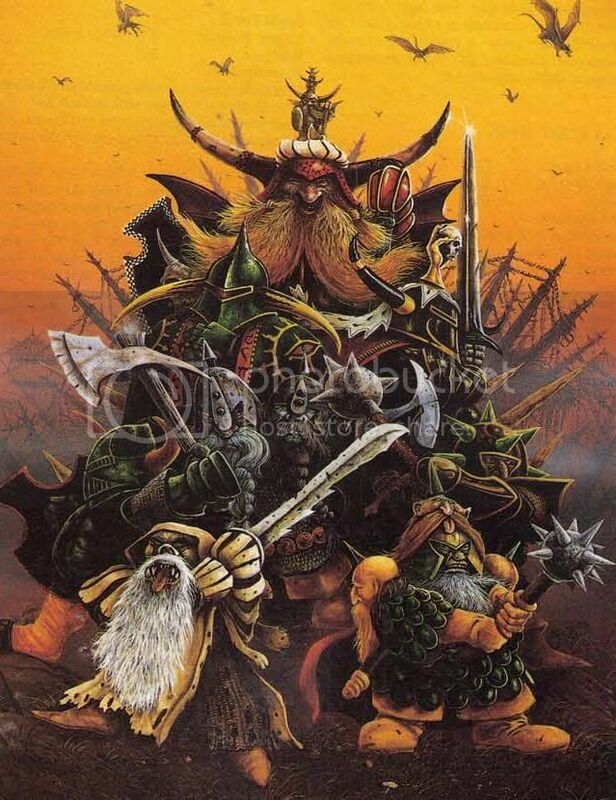 I happen to think 8th ed is the best edition of fantasy in a long time. We need a few army books under our belts to see if this bears out, but orcs and goblins looks to be a good start. What does all this mean for the forces of the undead? Here's my two cents, as the vampire general puts his feet up, takes a sip from a mug of hot blood (for blood see tea), and ruminates over 8th. Shambling Horde. A unit fleeing from zombies takes d6 S2 hits for every rank of 5 zombies. The Newly Dead: No characters can join the unit, Invocation of Nehek raises D6+4 zombies. Impressive, no? No. So, seeing as our pathetic bag of skin isn't a combat monster in the same way Darth Vader wasn't big on sand people, what the hell use is he? The answer is, it depends. Let's have a look. Perfect you say. A horde of zombies, what could be better. You can take, say, 60 zombies for 240pts. Add a musician and standard. That's 252pts. It's not THAT cheap, considering how pants these guys are. The psychological value of 60 zombies is significant, for sure. Player will not want to tie up elite units fighting these pussbags for the game. But they are not as big an obstacle as once they were. Steadfast might be great for the living, but it means nowt to zombies, who happily crumble despite outnumbering the opponent if they lose combat. And they will lose combat. In 7th ed, zombies were the ultimate tarpit. Who cares that they never got a hit in, 30 zombies could tie up a unit for the whole game. Now, with step-up, supporting attacks and steadfast, not so much. Say our 60 zombies charge 25 greatswords with full command, no magic banner. That's 280pts, only 28pts more than the 60 zombies. The greatswords strike last, so our undead pals hit first. WS1 v WS4 means 5+ to hit. If the front rank of the greatswords is 5 wide, 21 zombies can attack. We're looking at 7 hits on average. So to wound. S2 v T3. That's 2 or 3 hits. Let's round up to 3. The greatswords have a 4+ save, so again, being generous, we're talking 2 casualties. Not great from 21 attack, but as we said, zombies ain't paid to kill stuff. Now it's the greatswords turn to avenge Hans and Helmut. They need to check for fear, but with LD8, they have a good chance of passing. Assuming they have 11 attacks at WS4, that's 3+ to hit. That's 8 hits, rounding up. S5 with greatweapons against T2, that's 2+, that's 7 wounds. 7 dead zombies. The greatswords CR is 11. The zombies is 7. They beat the zombies by 4, so 4 more crumble. That's 49 zombies left. That'll keep the greatswords busy. Now would be the time to hit them with a flank charge. Against single attack elites, zombies not bad. Try that against say, ogres. A unit of 6 bulls (260pts) can dish out 19 attack, plus stomp, plus bull charge if they get the charge in. You could lose your 60 zombies in 2-3 turns. You can bolster the zombies with magic. Invocation of Nehek and Vanhels will help matters. These are power dice that might be better spent elsewhere though. The Helm of Commandment can help. All the zombies will do is tie up units, they won't beat the opposition. With the changes to fear, even if they do, the enemy may not run. Ultimately, zombie hordes are a points and power dice sink. If zombies have a role in 8th, this is it. Using raise dead to attack war machines and distract dangerous units is very useful, but remember, even 5 zombies cost you 50 victory points if they are destroyed. The Sceptre de Noirot is useful here. Redirection is where it can really pay off. Getting those frenzied or elite units off your back for a turn can mean the difference between winning and losing. Again, this all costs precious, precious power dice, but at the right moment our zombie pals can save the day by taking one for the team. adding units of zombies to increase your deployment units is useful, but costs 80pts per unit, so not something I'm a fan of. So, it seems zombies uses are limited, but they are not totally defunct. Most vampire counts players will plump for more ghouls, and I have to say, despite my love of the humble zombie, even though they do have access to musicians and standards, I'd be in agreement. I've been waiting. The wait is over in May, I hear. 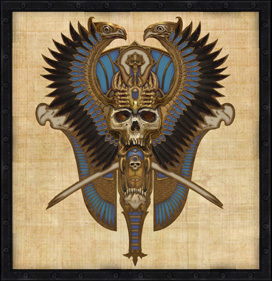 The new tomb kings book is on its way. I have high expectations for this book, and I think I won't be disappointed. I'll tell you why, it's because of the new orcs & goblins book. I've heard a lot of whinging about the new book. For the LIFE OF ME I can't see why. First off, the complaining about it being hardback. Too heavy. Give me a break. 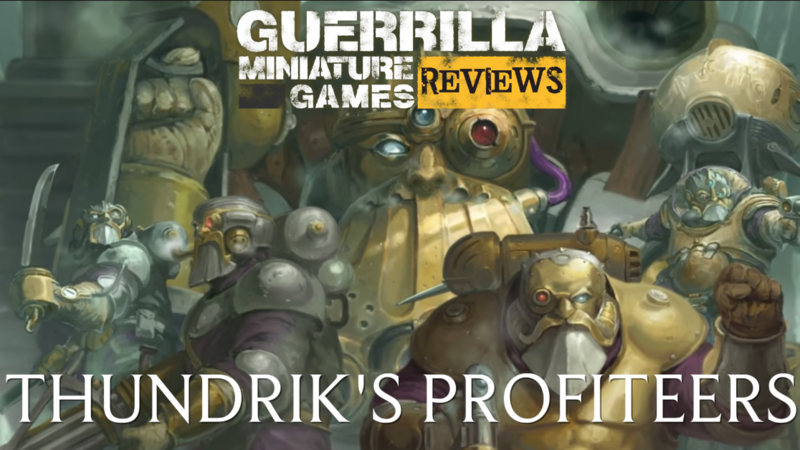 GW produce a durable (this comes with a big proviso, if one page comes loose I'll be using that book as a murder weapon, though, again, NONE of my GW books have ever come apart.) full colour book, and folks moan about the weight. Sigh. The rules look great. 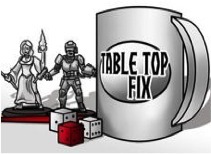 From what I can see, with great lores of magic, new incredible units (arachnarok and mangler squig anyone), changes to existing ones (pump wagons, doom diver, the choppa rule etc) couples with the sheer variety of lists one can make promotes O&G to potential top tier. We also get great new models. The savage orcs look a little angular, but still groovy. One gripe I do have is the doubling in price for orc boys. That's some hike. All this bodes well for Tomb Kings. If the models get the treatment the vampire counts got, it'll be enough to add another new army to my projects. There is such scope for fantastic models. Come on GW, make me happy.